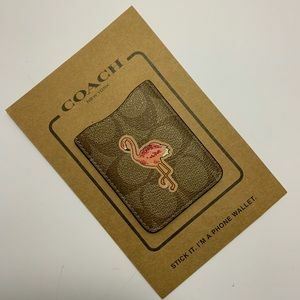 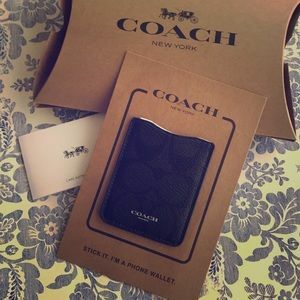 Signature Coach wallet that comes with check book cover and several card compartments and outside zipper. 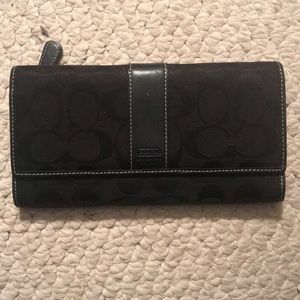 Outside of minor scratches pictured on mental, wallet is in very good condition. 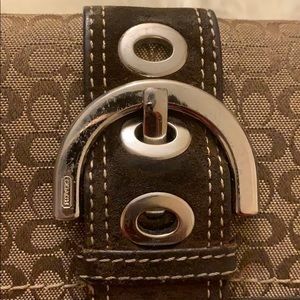 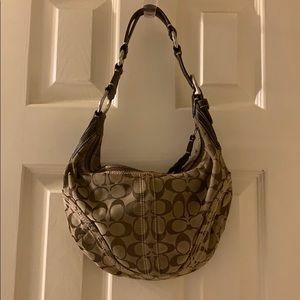 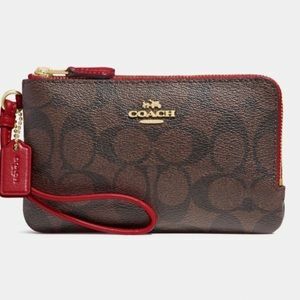 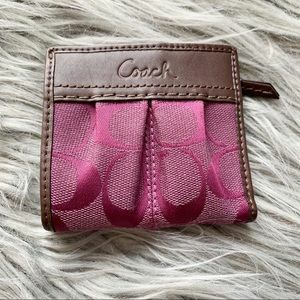 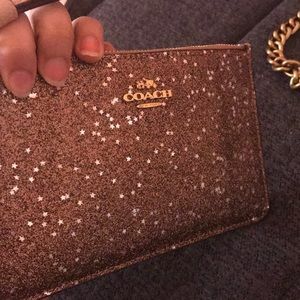 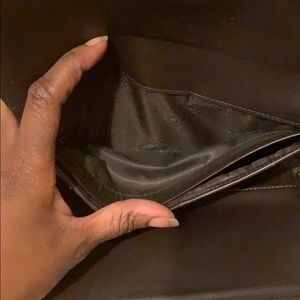 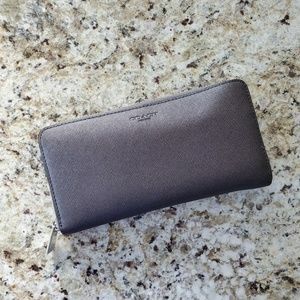 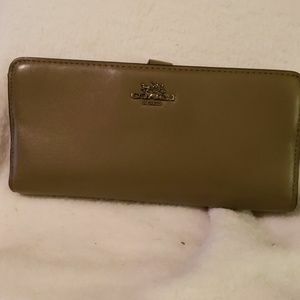 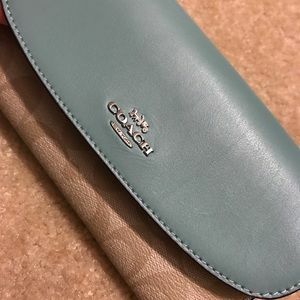 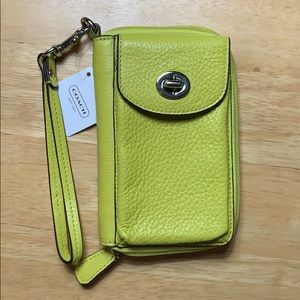 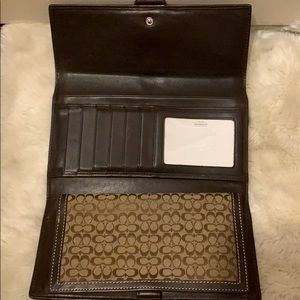 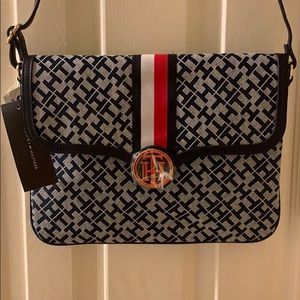 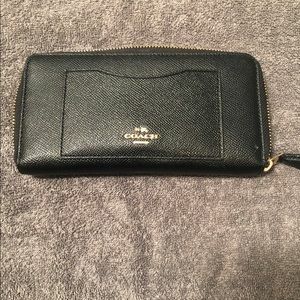 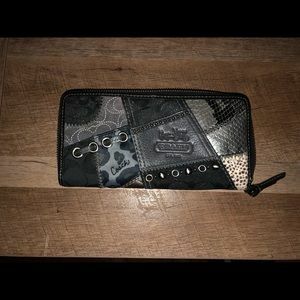 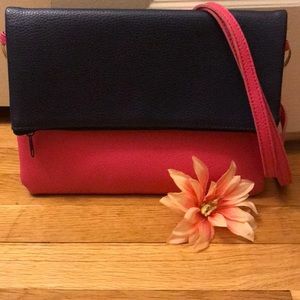 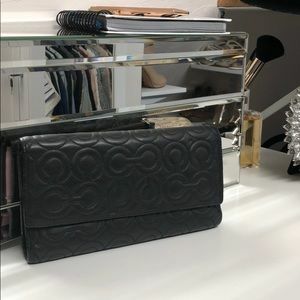 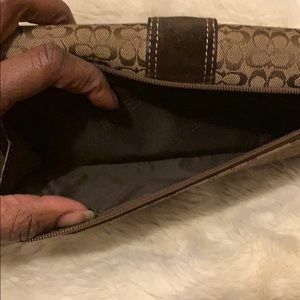 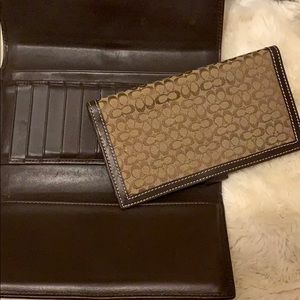 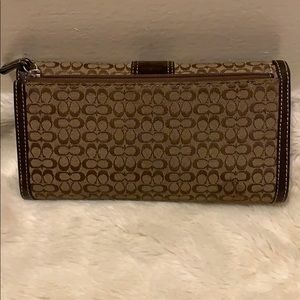 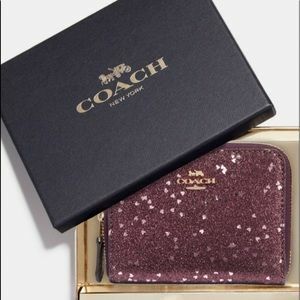 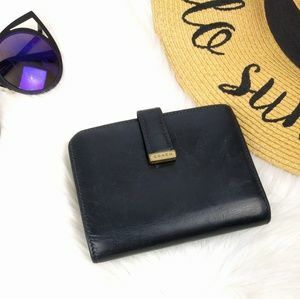 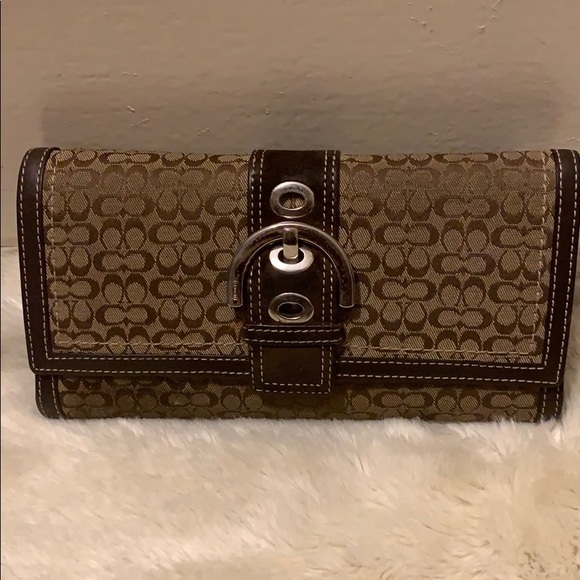 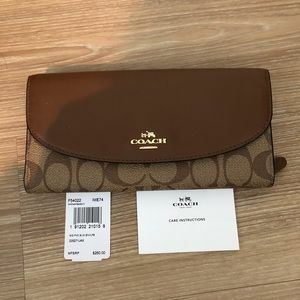 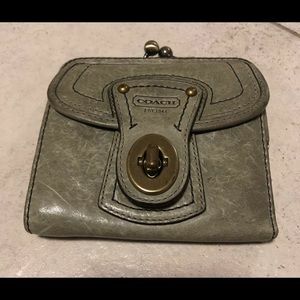 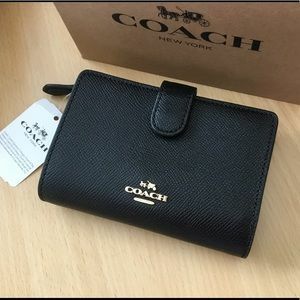 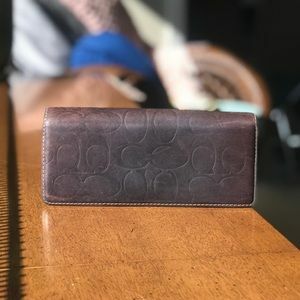 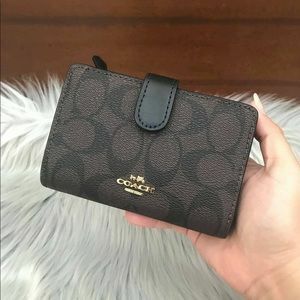 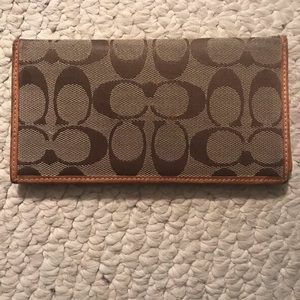 🌻Coach Signature Medium Wallet NWT.